Get Fitness Results with Meredith! Meredith is a in home personal trainer who services Parsippany, NJ and the surrounding areas. I give you a great workout in the privacy and convenience of your own home. I incorporate many tools to keep the workout varied and challenging. I have experience in TRX, weight training, BOSU, kickboxing and core training. I also provide tips on making sure you are getting the right nutrition as that’s a big part of the equation with any fitness goals. Also, my clients see their progress through monthly measurements both circumference and bodyfat. Contact me today for a consultation and to speak about your fitness goals! 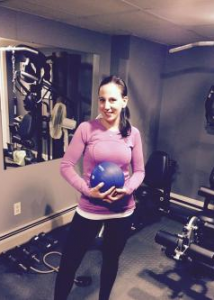 Learn more about Personal Training in Parsippany NJ and the local areas with Meredith. Submit your name, e-mail, address, city and any comments/ questions you might have.